Spotting the infamous pumpkin spice latte on Starbucks menu quite simply means one thing… fall is here. And while we can try to put it off for a couple more weeks, at this point it’s inevitable. Even though summer is over, the aftereffect of daydreaming of lake trips, pool floaties and Unicorn Frappuccino’s likely isn’t. 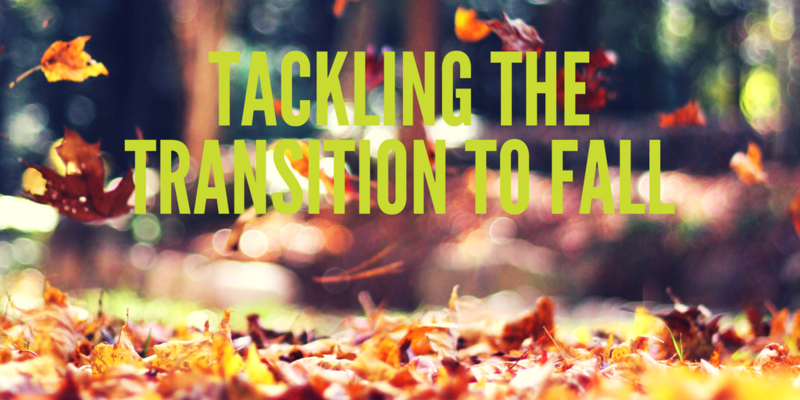 So here’s our tips on how to kick start a productive fall. With the cooler weather coming our way it’s time to move your summer clothes to the back of the closet and move up your fall/winter pieces. If you have summer items you didn’t wear all season, it’s probably time to toss them and make room for new pieces. Organizations like Goodwill are an easy resource but if you have nicer pieces that have more life in them consider an online consignment store like thredUP. Also consider donating them specifically to the victims of Hurricanes Harvey and Irma through organizations like the Salvation Army or Lighthouse Ministries. With the end of ‘summer vacation’, events will pick back up and it can feel overwhelming at first to get back into the go-go nature of the autumn months. Take time every day to add new work and personal events to a calendar to keep yourself organized. Make sure you add any major projects or deadlines so you don’t make plans that will hinder your ability to see those through to a timely completion. If you’re a paper calendar person, we highly recommend Paper Source’s selection, otherwise you can’t go wrong with Google Calendar which is accessible on all your devices (iOS and Android). As summer comes to a close, we get ready to hit Q4. Be sure to take a look at the projects you had hoped to accomplish in 2017 and where those stand. Did something else take priority, did an impossible to schedule meeting get in your way? Assess your goals now while you still have 4 months to put them in action and get them moving before the end of the year. Looking for an app to support you in doing this? We LOVE Asana!